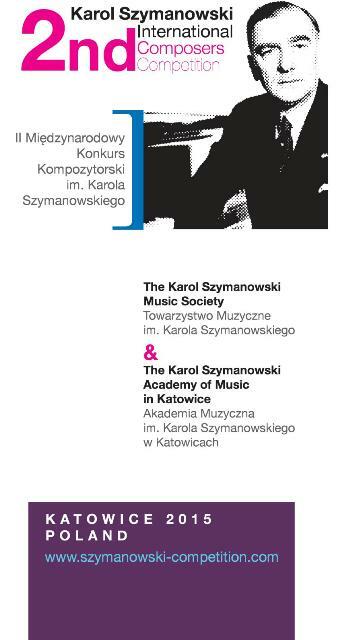 2nd Karol Szymanowski International Composers Competition Katowice 2015. The subject of the competition is a piece for great symphony orchestra. Required duration of the composition was 10 – 20 min. The members of jury are all members of the Karol Szymanowski Music Society: Eugeniusz Knapik – chairman, Krzysztof Meyer, Rafał Augustyn, Sławomir Czarnecki.